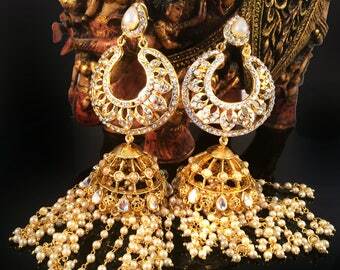 If traditional Jhumka Earrings is what you love then enjoy this new beauty that I just designed in my New Collection for 2017. 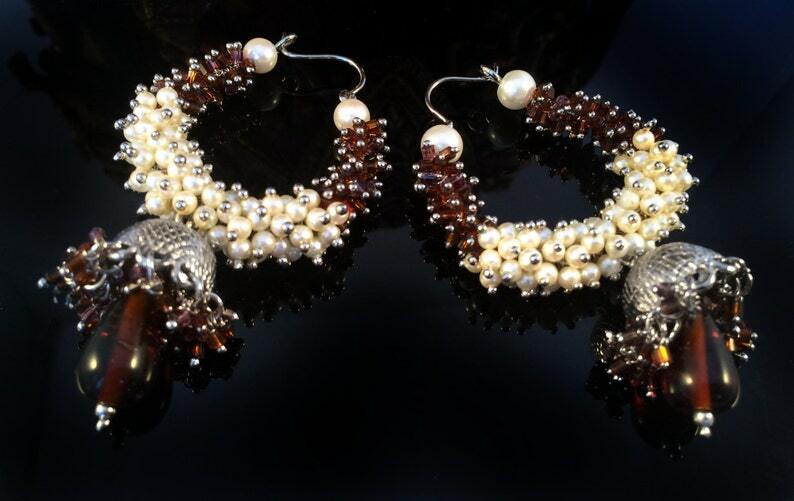 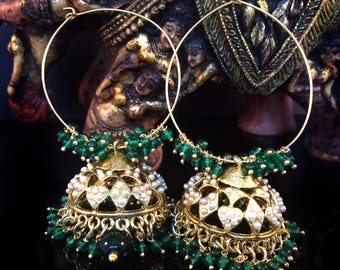 The jhumki has silver plating and is embellished with brownish maroon beads. 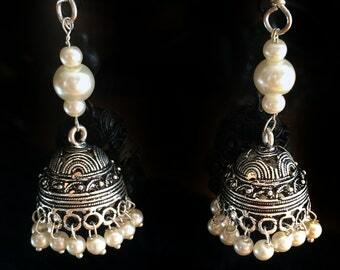 The pearl drops are clustered together for a beautiful look. 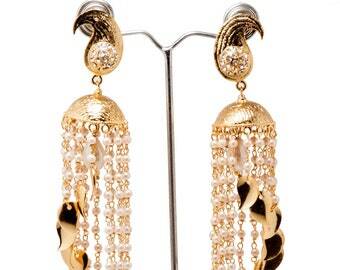 Pearl bead to give you a look that you will always remember.